It's winter here and I'm already thinking about spring! 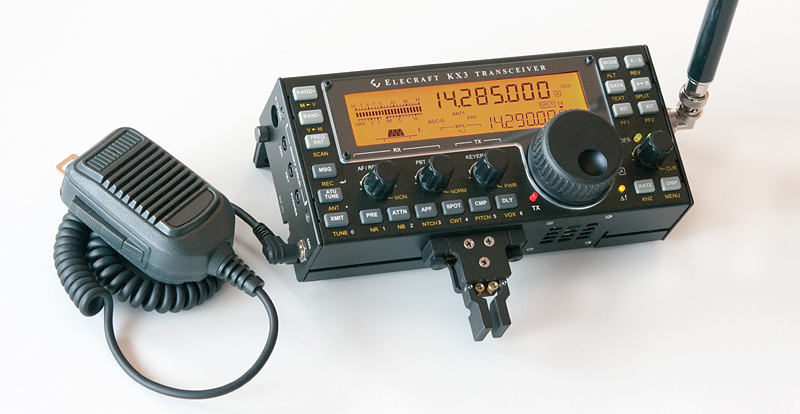 After 10 years I'm retiring my faithful K1 for a brand new Elecraft KX3. See http://www.elecraft.com/KX3/kx3.htm for the details. I'm excited. The KX3 It covers all amateur bands, 160-6 meters, operates phone, data and CW, and it is software defined and DSP-based. It will allow me to do digital/PSK31 from the picnic table without an attached computer and the the receiver looks like it should be great. The first thing on my list was the ATU. With it I should be able to easily load into my favorite end fed half wave antenna. Next was the roofing filter. QRM can always pop up. I ordered the KX3 assembled to make certain everything was aligned right and that it worked straight out of the box. Why the mic? The rig supports CW, phone and data. This will allow me to try a little QRP phone operating, especially if demoing the rig. Unfortunately the estimated ship date is almost two months away. I'll have to wait. 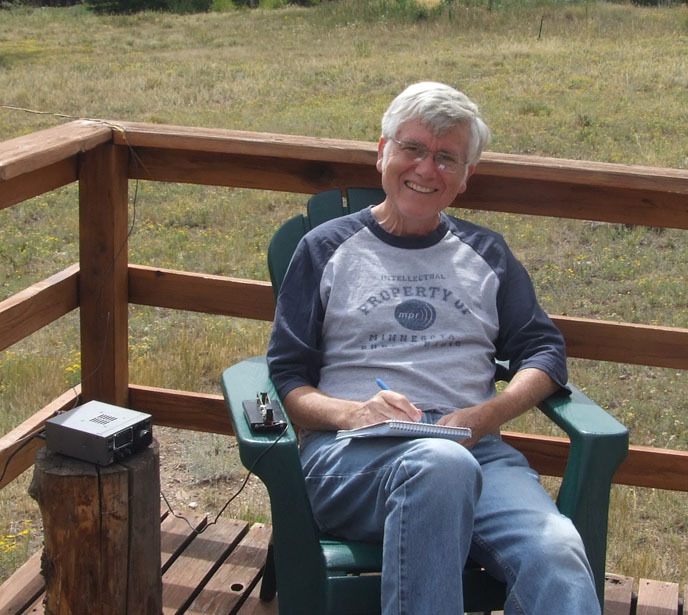 The last two weekends I operated in the AWA Bruce Kelley 1929 QSO Party. This is always a great time to get an early rig on the air and work others doing the same. On the first weekend I operated as K5CF from Poteau, OK using Vance's type TNT transmitter running about 6 watts using a single type 10 tube. While I heard W0LS, KB0RON, N8YE and KB0MM fairly well I could never get a response to my calls. Power out looked OK so Vance's Gap Titan DX vertical on 80 may have been the problem. 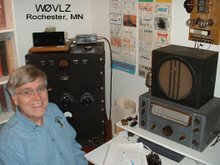 This past weekend I was back in Rochester, MN using my Hartley transmitter to make ten contacts. This event allows any receiver to be used. This year I used my 1941 simple superhet. I have only a fairly low end fed wire antenna and my contacts reflected this. Seven were right here in MN, two were in OH and one "DX" contact was in SC. What might I change? The antenna is always an issue. I have a 29' base loaded vertical this winter but the recent snow seems to have detuned it. I'll need to check it out before the LC CW Contest in January. I've finished the wiring. Now I need to cobble together a power supply and I'll be ready to test it. My deadline is about two months away, the January AWA Linc Cundall CW Contest. Two years ago I did ok with my 1934 transmitter running barefoot, this time I'd like to add 75 watt "boots". Once a friend asked about how to anchor an end fed antenna ( such as an EFHW ) at the rig end. A lightweight QRP rig attached to a 67' long wire slung over a high tree limb won't stay put without help. 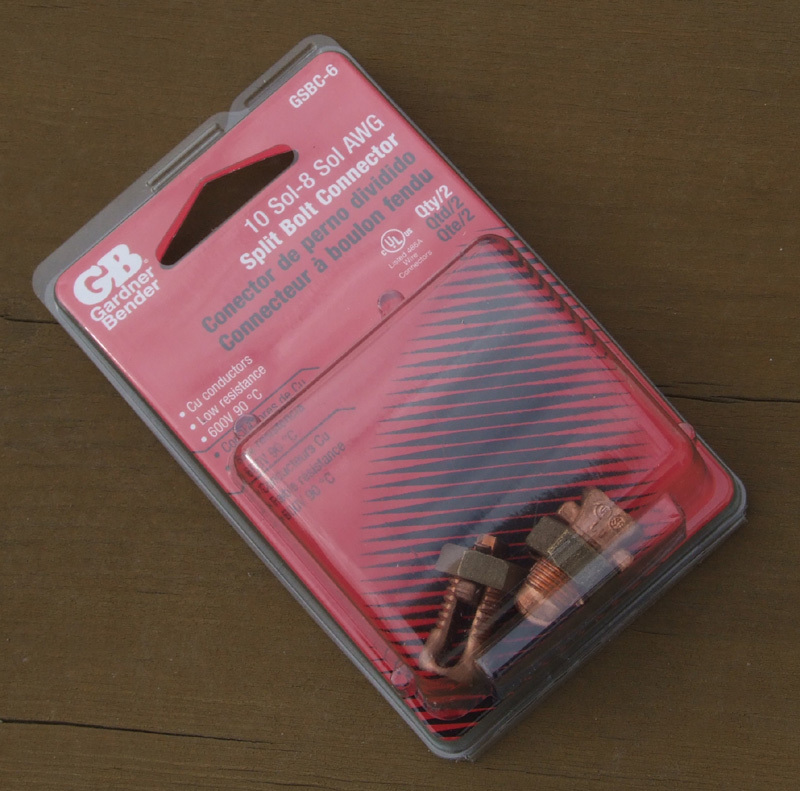 I solved the problem with a "split bolt connector" and some nylon twine. I found split bolt connectors in the electrical department of my local big box hardware store. The nut, with it's captured cross-piece, screws onto the slotted bolt. I cut off a couple of feet of nylon twine and looped each end. One loop goes into the split bolt. Looping the twine around a convenient object (in this case a porch railing) and securing it gives a solid anchor for an end fed wire. 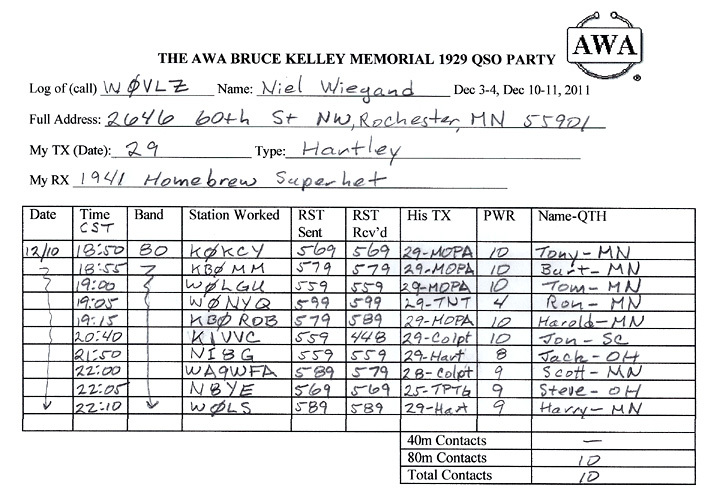 The AWA 1929/Bruce Kelley CW Party is coming up the first two weekends in December and the weather has started to cool off here in Minnesota. I've put the K1 back into it's winter operating position (a top the 75A4) and started to warm up the classics. Right now I'm running my Hartley paired with my 1940 Simple Superhet. They make a good pair but my signal reports remind me of one of the Hartley's main limitations. On the 18th I worked Lynn, NG9D. Lynn commented that my signal had a fast QSY to it. Last night I worked Dave, WA9DOF. Dave reported that he wouldn't have known the transmitter was a vintage rig if I had not told him. The difference was the wind. Last night we had no wind here while on the 18th the wind was 10-15 mph. The antenna blowing in the wind shifts the load slightly that it presents to the transmitter. This in turn pulls the frequency slightly. Lightly loading the rig when tuning up helps (see my Nov 16, 2009 Blog entry) but wind can still be a factor. 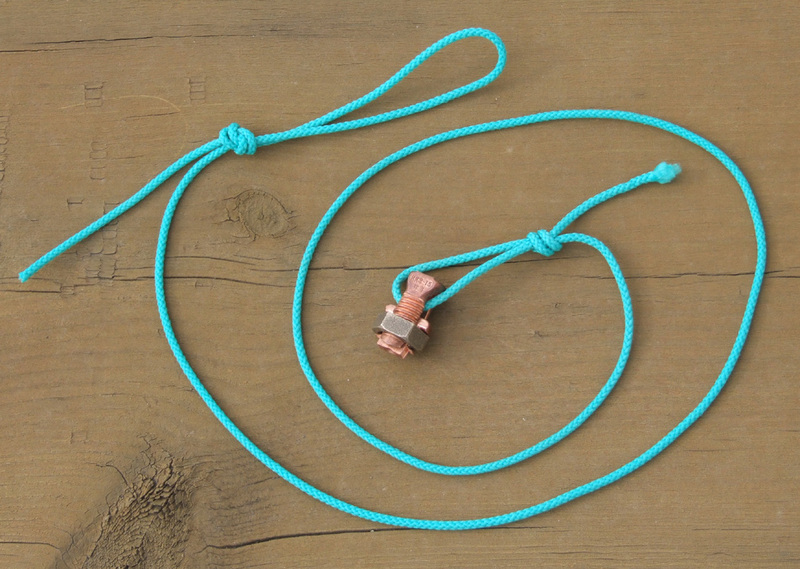 Pulling my wire antenna tighter or a completely new antenna might be needed. I'll see what I can do. Beth and I try to get away at least once a month. Almost always I pack along my K1 (and Beth, a good paperback). This time I also had along my Crappie Pole 20 mtr C-Pole vertical. Last weekend we took the trailer down to the Wisconsin Dells, about 150 miles southeast of Rochester. Besides doing some of the the usual tourist stuff (and there is a lot of it at "the Dells") I got on the air, both from the campground and from an I 90 Rest Stop at the Minnesota/Wisconsin border. 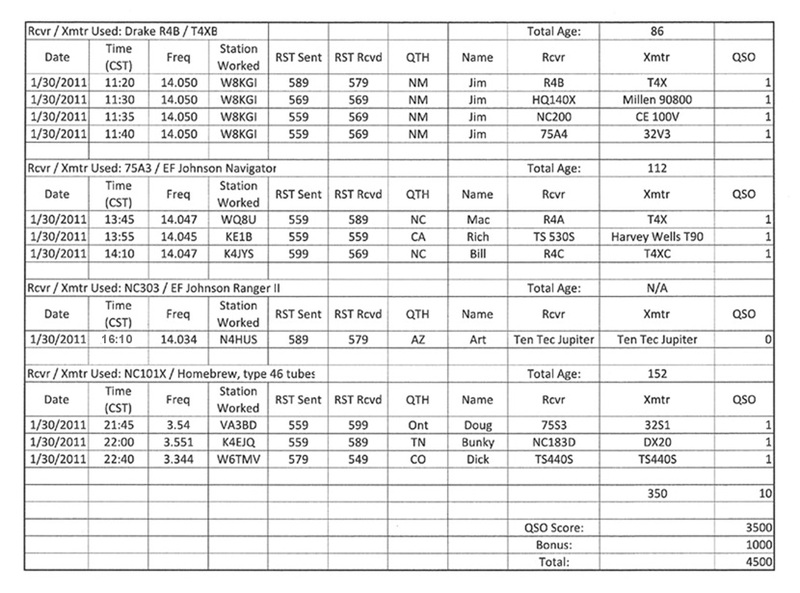 Stations worked included KF4IZE, K4ZH, WG0AT/P (A real high for the weekend. See Steve's video report here), WA3SEE and KI4UUZ. 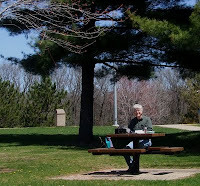 The weather was great for sitting at the picnic table with the K1 and I had no problem making a few contacts. With cooler weather approaching my picnic table QRPing will move into the basement and start to split time with the boat anchors...but we'll still see what can be done outside this winter for the Arizona ScQRPions FYBO contest. Beth and I just got back from a trip covering 4900 miles in eleven western states. I had packed my K1 and 67' end fed wire antenna so I operated along the way. QTHs included Pt Defiance (in Tacoma, WA), Paradise (on the south side of Mt Raineer) and West Cliffe, CO (south of Denver). I worked WA7NCL, N7MOB, K0FTC, KD6L, W6LOH, KK4IP, N5RDN, KG8YT, KD8A, WB0UFF, W4HEX in nine states. Signals on 20 tended to be a down but it was still fun to get on the air and see who I could work. My most memorable contct was with W4HEX, Will. He was operating mobile CW near Mongomery, AL. At the time he was using his K2 and a Hamstick on his pickup but backup rigs included a K1 and a K3. Last week I paid a visit to my friend Skip, K7YOO, in Winona. While rooting around in his parts storage I noticed a little transmitter. I've a weakness for QRP homebrew and this one, with miniature tubes, is of an era I don't have covered. A couple of days ago Skip dropped it off here in Rochester as he headed for the airport. 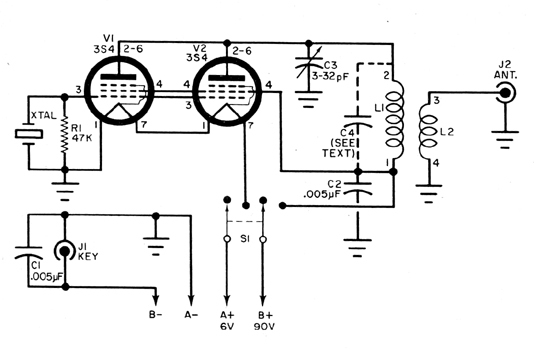 It is a version of the "QRP Midget" first described in July 1967 Popular Electronics by W5LET. Dave Ingram also covered it in November 1992 CQ. This one is build in a little bigger box with an added current meter and RF choke in the B+ line but otherwise it is a good copy of the original. This transmitter uses tubes designed for battery powered portable radios common just before transistors took over the market. Two "power" pentodes in parallel run about a watt out on 80 or 40...not a barn burner but it should be good for some contacts. Spring is here at last, but I did have to drive 150 miles to find it. Some extra time in my travel schedule today gave me the chance to do my first Picnic Table QRPxpedition of 2011. The I90 rest area just outside of Mauston, WI turned out to be fine place to stop, have some lunch, throw the antenna up into a tree and see who I could work. 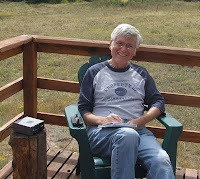 Mark, KQ0A, in Taos, NM heard my "QRL?" on 14.060MHz and gave me a call. He was 599+ the entire QSO while he gave me a 579 with some QSB. With the solar cycle heading up I'm planning a lot more great QRP QSOs this summer. My TZ-20 Amplifier project has been on hold waiting for some sort of rack to mount it above my 1934 transmitter. I finally got some help from Skip, K7YOO, to cut and bend a piece of 16 gauge aluminum to form the shelf. 1" angle aluminum is used for the vertical legs and the shelf supports. Once warm weather returns to Minnesota I'll take the rack apart and give it a few coats of paint, probably black wrinkle to match the rest of the station. Yesterday was the Winter 2011 Classic Exchange. This event offers a great chance to get on the air with older gear. Participants putting multiple vintage transmitters and receivers on the air have a big score advantage, but it's fine to put only one vintage station on the air or work others using, even, a software defined Flex-5000A. NC101X / 1934 "46 Job"
In all I made 11 contacts (but only 10 counted for points) and I used 4 of my 5 stations. The CX gave me a chance to play with a couple of radios I haven't used in a while and to fine tune a little what I'm looking for in my favorite "boat anchor" station.